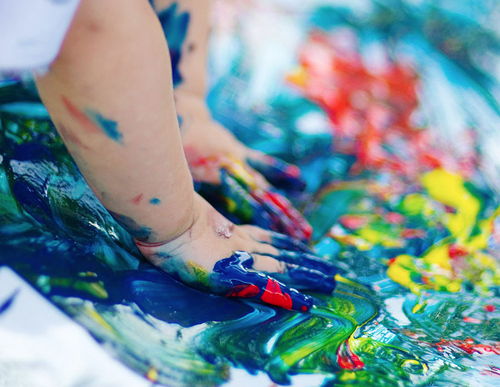 On the one hand modernity has conceptualized play as a biologically inherited drive that is spontaneous, pleasurable, and free - attributed to the autonomous and individual self. Yet, on the other hand, modern societies have rationalised and shaped children’s play from the outside to advance social, educational and political goals. 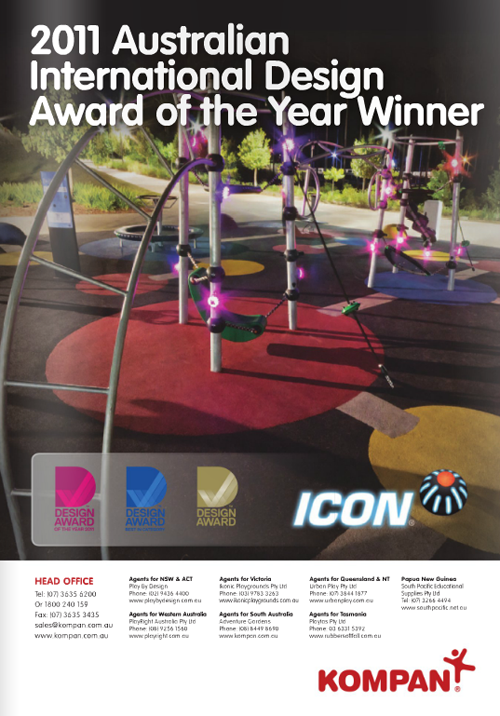 Thus the 'playground' is in fact about censoring and restricting types of play deemed undesirable and displacing them from places deemed dangerous or corrupting, such as the street. “War Games”: Photo taken by Francis Reiss to illustrate Lady Allen of Hurtwood’s essay in Picture Post, November 16, 1946 (Kozlovsky, 2007: 1). 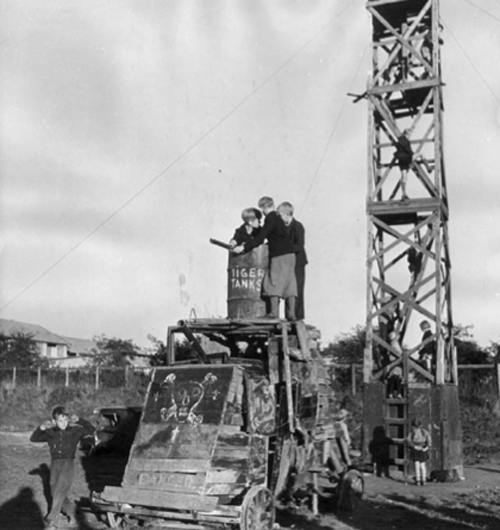 This contradiction is embedded in the 1959 Declaration of the Rights of the Child, which states that play is a universal right of the individual and, at the same time, defined it as an instrument of social policy: “The child shall have full opportunity for play and recreation, which should be directed to the same purpose as education; society and the public authorities shall endeavour to promote the enjoyment of this right” (Kozlovsky, 2007: 1). A statement, which encapsulates the paradox of the modern discourse of play. Taitoko, which means 'ray of light' in Maori is a centre situated in small-town Levin in New Zealand that has been transformed from a centre on the verge of closure into a 'thriving community hub' (Northcott, 2010). I have to say Pinterest is the next best thing. It allows you to 'pin' any image that you find from the internet to your custom created 'pinboards' - with a simple click on 'pin it' that you load into your bookmarks bar. 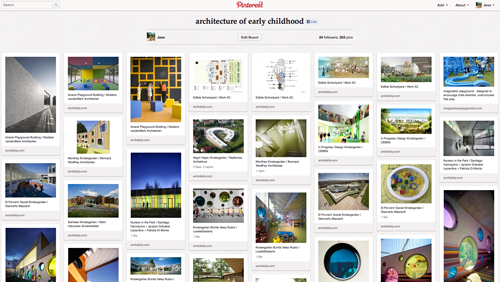 You can follow others with similiar interests and the home page offers a feed of yours and others 'pins'. Displaying loads of inspiration on one never-ending page. 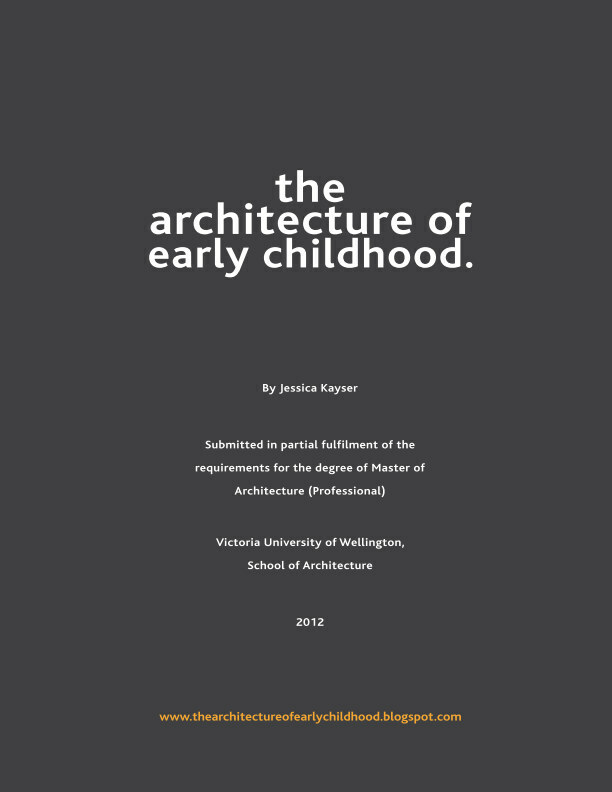 So, over the last few days I have been compiling a collection of images to my pinboard: architecture of early childhood. It is a collection of my favourite images from my blog as well as features of other buildings that I thought might add some inspiration. So please, do check it out, and you can even 'follow me', if you like. 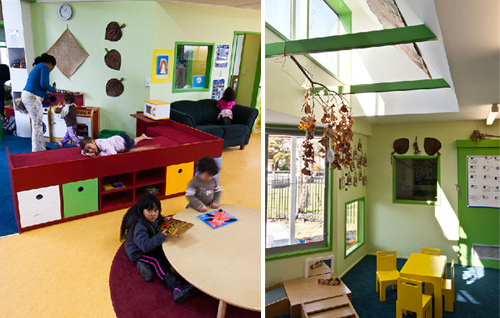 The Krishna-Avanti Primary School designed by Cottrell & Vermeulen Architecture in 2009 is a Hindu school in the UK that bears more of a resemblance to a large kindergarten than a school - with interconnecting spaces catering for a wide use of activities, experiments and life-skills. The school aims to help children realise their spiritual, moral and academic potential in a welcoming, secure and supportive environment centred on loving service to Lord Krishna (school's website). 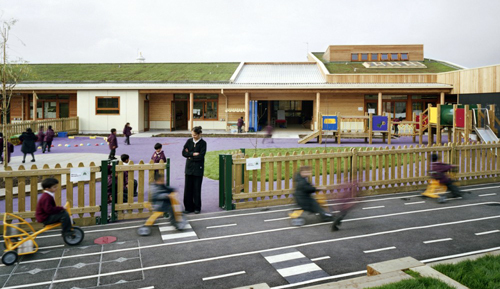 The architects collaborated with the school community in the design process, to better understand the client's religious and cultural ambitions and to establish an appropriate architecture.